PSA: KRIKORIAN Records LLC © — est. 2018 Orlando, FL. Below is a detailed Business Plan for KRIKORIAN Records LLC ©, OBDNT ™ & DK Studios & Publishing ©. Thank you. I’ve struggled all my life through poverty, familial & partnership betrayals, political constructs like white supremacy & ethnocentrism, & religious & communal disenfranchisement. I’ve suffered immensely — being a “DREAMer” — for the past 22 years of my life — took a toll on my health, physically & mentally. I sought help. For so long, I’ve lived essentially a prisoner. As a student, I was denied my human rights & discriminated against. I was qualified for $40,000 of duly earned federal aid for graduate students; a 75% bright futures scholarship for undergraduate studies; yet was denied access due to my status, including all private loans. Being a person of color, an Armenian-Syrian of ME descent, I suffered institutionalized racism. As a result, I worked tireless jobs to facilitate the difficult journey my family and I were forced to endure. Seeing my country ravaged by war, being an Armenian Christian & Muslim, all these together have only added to my difficulties. But I have immense faith & this has guided me to seek a better life & to help others gain the same courage, and to challenge political constructs & betrayals that are unjust to society and me. I am a musician and my dream is to establish my brand. Below I’ve listed an outline for the business plan. It is a hybrid — seeking both investors for those who are interested in a stake (maximum 5%) as well as donations for those who want to support unconditionally. Merchandise, live performance venue, management & branding of artists, specialize in Middle Eastern & Armenian vintage arts, crafts & music – vinyl, CDs, rugs & other fellow Armenian & Middle Eastern (MENA) goods will be available for sale. KRIKORIAN Records © – label office handles all administrative & accounting/financial functions & tasks of management of signed artists. OBDNT Live & Aesthetics, Design © – visual design studio for graphic design, videography, direction & web-design; also the brand for the live performance venue – a concert hall. 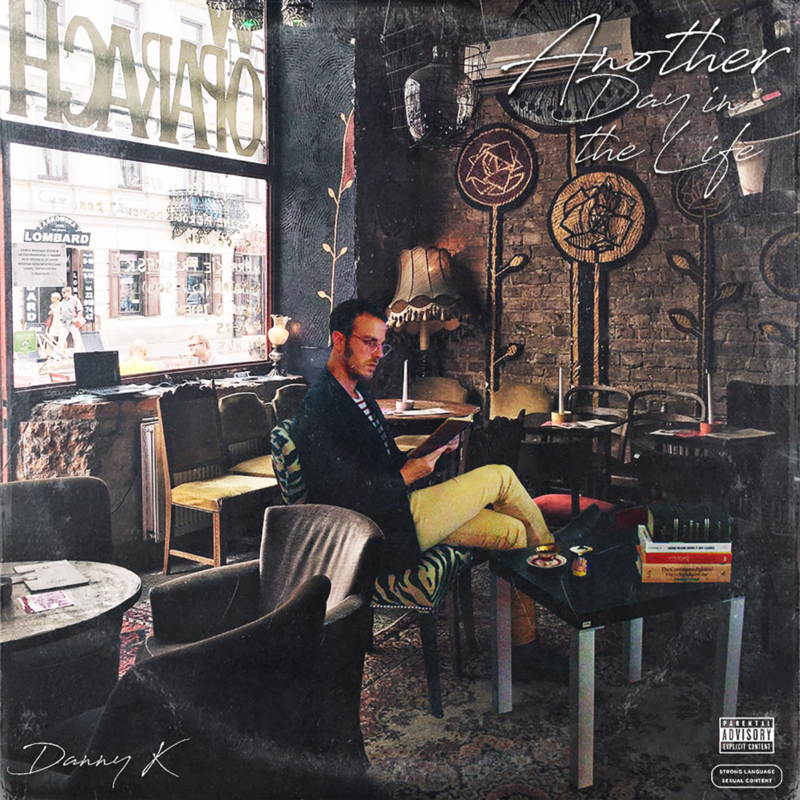 DK Studios & Publishing © – record, produce, song-write for Danny K & clients & collect digital sale, performance & other royalties from commercial uses of music by Danny K & clients. Instruments (various families) specified: Shiny Red Strat Electric Guitar, Zebra-top Acoustic Guitar, Mellotron Keyboard & Steinway Grand Piano. Eastern Instruments: Bouzouki, Out, Santur, Qanun, Duduk, Kamanche, Theremin & Balalaika. Misc: Armenian & West Asian (Middle Eastern) Vinyl, Vintage Armenian Crafts – posters, films, relics, antiques. Trip to Yerevan & Middle East/West Asia (essentially Armenian Diaspora locations) & engineer DKDM drum machine (inspired by J Dilla & MPC) with original authentic Armenian sounds from each family of instruments — percussion, woodwind, brass, keyboard, strings, electronic. I also want to engineer my own instruments — unique woodwinds & stringed instruments as well as synthetic choirs. These will be part of the “DK Studios” brand. Donation: Donations are essentially gifts meant to help the “DK/Danny K” brand establish itself & fulfill the dreams of its owner. All amounts accepted. Proceeds: 3% of all annual revenue will be donated to the following initiatives equally – Black Lives Matter, Syrian American Medical Association, Armenian National Committee of America & Boycott Divestment & Sanctions.